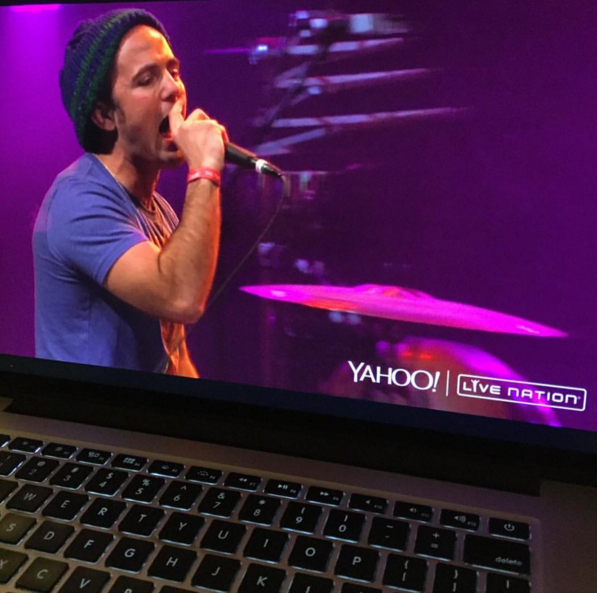 Last night in LA (The Wiltern) with Matisyahu and Yahoo.com Live Stream! It is not every day that you get to perform with Matisyahu. It is not every day that you get to be streamed on Yahoo music. BUt it is not every day that Matis also got on the drums…and Yehuda from Moshav band! Just wanted to show you this sick picture. Now i am about to head out to Las Vegas and jam at the Brooklyn bowl and maybe some street performing as well? Good Run w/ Matisyahu – Dodging Bullets Video shootMatisyahu LA and Las vegas shows tonight and tomorrow!